What is an Asia trip with Enchanting Travels really like? Could it really be your trip of a lifetime? 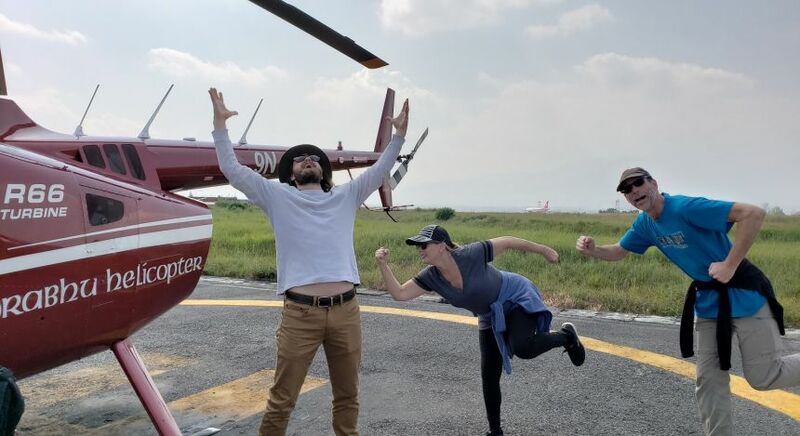 Don’t just listen to us, hear about it straight from our guest Laura Lee Coffman, who traveled in Nepal just a little while back! If you would like to be pampered, speak with one of the knowledgeable and friendly agents at Enchanting Travels. They want you to enjoy yourself and have the trip to (insert destination here) that you’ve always dreamed of! Highlights on the journey: Sunrise at the Mt. Everest viewpoint high above the village of Namche Bazar. There were tears of joy! 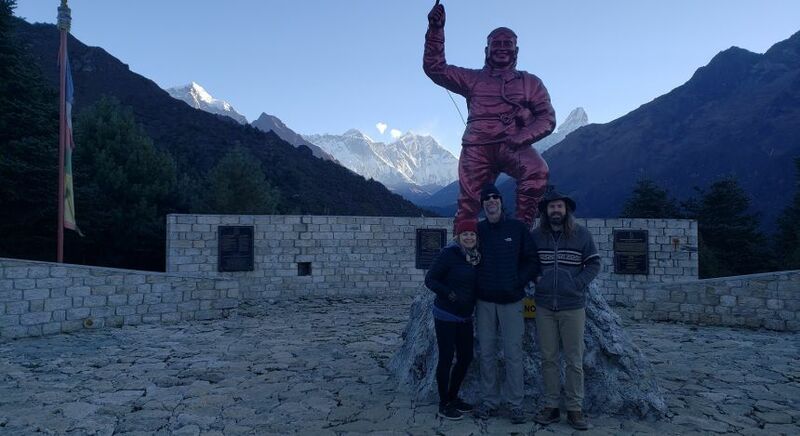 Nepal had always been #1 on my bucket list. I can honestly tell you that it was everything I could have imagined and more! Walter, my E.T. point of contact, really listened to me and found out what was important on this trip of a lifetime. Since none of us spoke the language, which can be intimidating, we wanted to be “babysat” and most definitely were! E.T. was there with reliable transportation and guides that knew the area well and were extremely personable! Sunrise at the Mt. Everest viewpoint high above the village of Namche Bazar. There were tears of joy! 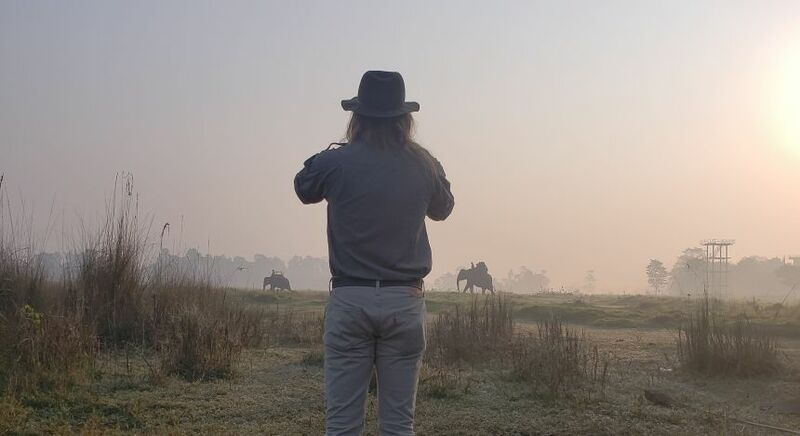 Watching elephants stroll by as we ate our beautiful buffet breakfast at Sapana Village, outside Chitwan National Park. (Later that day we rode atop one of the gentle giants, watched them get a bath and took a canoe ride past crocodiles). Sitting crossed-legged on the floor of the largest Buddhist temple in Nepal listening to monks, of all ages, chant. We were even offered butter tea! Truly AMAZING! 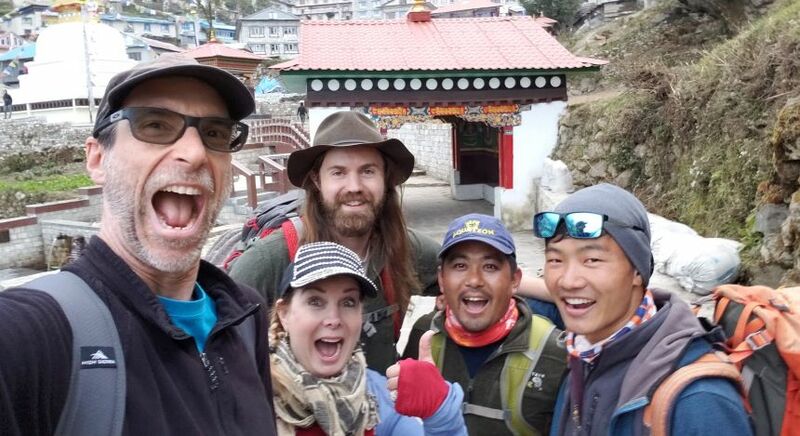 Namche Bazar with Ishwar and Sundeep. 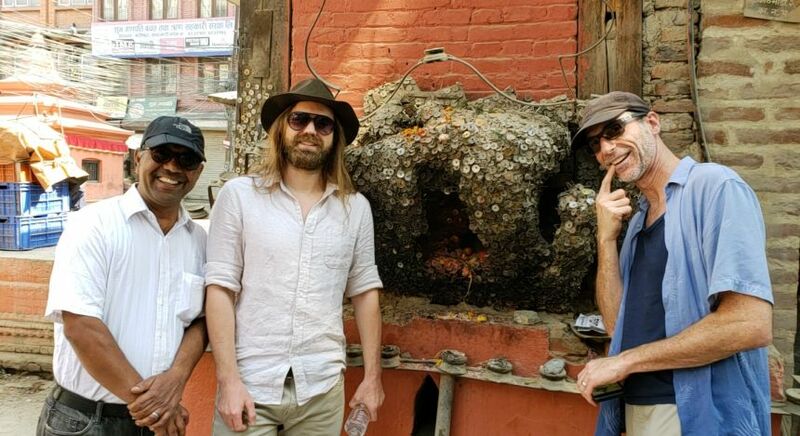 A cure for a toothache, the nail rock in downtown Kathmandu with our guide. Homage to "Arnold 'Get to the choppa...' Schwarzenegger" from the film Predator. Speak with a representative from this first class company. They will plan everything for you so that all you have to do is get to your destination. When I travel to Africa/South America/New Zealand etc. (in the near future), Enchanting Travels will be my first phone call! You too could set out on your very own customized and private Asia trip or enjoy tailor-made travel to other enchanting parts of our world. Get in touch with us today and we’ll plan it all for you!